Hey there, I’m that blue Kacheek. 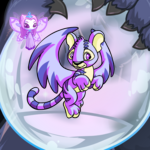 You know, in all those stories, that random pet is always a blue Kacheek? Whenever they need just a random pet in the story, it’s a blue Kacheek? Yeah, that’s me. If the Kacheek has a name, it’s definitely not me, though. To be honest, I don’t have a name. But I’ve been in more stories, series and comics than you can ever imagine. I’m just a space filler, just another one of those pets in stories. But, as always, I too have a story to tell. It was Monday morning, I do recall, that I woke up in the middle of a forest. I wasn’t quite sure how I’d gotten there, but I was there, completely alone, and a figure walked up to me, waving a piece of paper in front of my face like some crazed... banana or something. I don’t know. Anyway, they waved this paper and gave me a pen, chucked it at me is more what they did actually. I stared down at it, looked around, and suddenly felt something nearly go up my nose. It was the weirdest, most unpleasant thing in all of Neopia; and it was the paper. Again. The figure wiggled it again, and I grabbed it from him. He grinned at me kind of funny, and walked away. I looked down to find my paw covered in ink from the leaking pen, and the next thing I knew, I was in another place. Another time, another dimension. And I looked like a chibi. It was scarier than your grandma knitting a sweater with three arm holes and tons of frilly lace, and I looked around my surroundings. It was a simple background, just one color: black. And before I knew it, I found myself doing weird things. It was like I was possessed or something, and I said something really stupid, and I could hear laughing in the background. 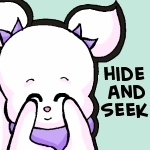 I felt eyes on me, staring, laughing, admiring my chibi appearance, and then I felt their gazes fade. And then I was ink. Merely ink, nothing more, just a simple line, ‘a blue Kacheek’. I don’t know how I could tell that I was ink, or words, or whatever, but I just knew. And I did not like it one bit. Just like that, I vanished again, but this time into a large room. It was filled with a bunch of pets, all sitting around, jumping at the slightest movement, the slightest sound. “Where am I?” I wondered aloud, my eyes widening out of fear and wandering around the room, searching the corners. Maybe I was dreaming, maybe I was in one of those scary movies that were always weird and disturbing. Maybe I’d had too many bagels before I’d gone to bed. “You are nothing, and so you are nowhere. You are not even you,” a Tonu said, his pupils tiny slits and his body tense as though he were about to be ambushed and pelted with water balloons. “Okay,” I said. That was all I could manage. Besides of course pinching myself so hard it stuck for another five minutes. “Not okay. Never okay. No. No. Home,” the Tonu whimpered, and began to pace around the room, his nails clicking and clacking on the hard stone floor. Or was it metal? I don’t think I ever found out. I don’t think it was on a high priority list at the time. “Does anyone else know where I am?” I asked, and other pets passed me. They all looked familiar, like I’d seen them in comics before or read about them; never with a name, never a personality, never anything. A red Kyrii who I remembered from a comic recently looked at me strangely. “Is everyone else like that Tonu?” I asked again, cautiously eying a Biscuit Chomby who whimpered and looked cautiously at a random yellow Lupe, who stared at him hungrily. “No, I’m new at this, so I haven’t, well, you know, caught NeoPhobia yet, if that’s what you want to call it,” the Kyrii said. “New at what?” I asked again. “New at, well, this. Being ‘that random Kyrii who appears in comics, but never has a name or a personality’; that’s our job here. That Tonu was in this really long series, but without a name or a personality. He was just a random Tonu. It really gets to you after a while, but there’s no getting out of it once you’ve signed the contract,” the Kyrii said again. “I haven’t signed a contract,” I said slowly. “That’s the thing, none of us have. We were tricked,” the Kyrii said. “And the contract never expires.” This didn’t sound good, not one bit. “How are you freed then?” I asked once more, scared to hear the answer. “Well, people have to lose interest in you; to be honest, the Tonu’s been freed for a long time, but he’s too ‘out there’ to realize anything anymore. He feels like air. I’m starting to feel like an inanimate object as well,” the Kyrii said. “How long does it take?” I questioned, getting tired of this bad news. Honestly, why doesn’t anyone ever have good news anymore? “I’ll probably be freed soon; it depends on how much interest people take in you. That Chomby over there, the Biscuit one, I don’t think he’ll ever be freed. Too many jokes people use him for, most of which are just so stupid and overused that I pity him more than myself,” the Kyrii said sadly. “And what about a blue Kacheek?” I asked anxiously. The Kyrii shrugged. “I don’t know, you seem to have been in lots of things lately without a name or a personality, I think you’ll be here for a while,” the Kyrii said. “But,” I began, but I was cut off as I suddenly vanished, and appeared in another comic as a realistic, nicely drawn furry thing. I could hear the laughter again, the giggles, the snorts. I could feel the eyes on me, like Crokabeks watching their prey, ready to strike, their arms clutching at their scroll bars as they went to read the rest of the comic. No one cared about me, no one made any remarks about me besides ‘he was so stupid’, or things close to that. No one wondered about my name, and I finally was poofed back to the room. The Kyrii was no longer there, and I was left to stare at the apple Chia huddling in a corner, rocking back and forth. Two snow pets clung to each other and wailed. My head swam with noises, scary noises that seemed to echo and then fade inside my brain. The room seemed to be swimming, and I felt like I was fading. I didn’t remember my name, no matter how hard I tried. I suddenly felt like ink again, and was left to listen to people silently reading to themselves. Apparently, in the story I was in, I was being tormented or something. I couldn’t quite tell; all I could feel was a pressing sensation coming from nowhere. I was back in the room again, though I wasn’t sure how I’d gotten there. The Kyrii was back, seemed to be talking to me, but I didn’t answer. I stared at the apple Chia again and licked my lips. A Lupe near me laughed at me, and I laughed as well. Cackled, really. The Kyrii backed away from me, and into a shady figure, the one from the forest. The one with the paper that got shoved up my nose. “You’re free to go, until I need you again,” the figure said. Or at least it sounded like it had said that. There was a buzzing in my ear, so I couldn’t tell. The Kyrii whimpered, and vanished. Smirking, the figure tore up a sheet of paper. Without thinking, I dove at the figure, ripping sheets of paper in the search for my own. At least I think I was looking for my own. I suddenly vanished again, as the figure roared, and some of the pets vanished, but others looked around as though they wondered why they felt free to move around. I was in another comic, and I went along with the joke easily; I even laughed at my own joke, laughed at my own stupidity, irony or sarcasm with the people viewing the comic; and then I was ‘a blue Kacheek’ again. Being merely a phrase didn’t feel so bad anymore, so weird. I was used to it, and I finally arrived in the room again. But it had changed, had turned into a setting of some sort. I huddled in a corner, a sudden pressing feeling pushing me farther into the wall. Or was I just hugging my legs harder? Before I knew what was happening, I was wailing nonsensical babble, and then blackness. I remember waking up on a cot, the figure looming over me. For a glorious moment I thought it was someone familiar, one of my friends perhaps, but I was mistaken. Instead of comforting words, the figure merely hissed at me. I nodded, and vanished again. I needed to make up for the time I’d spent sleeping; it was my duty to all of Neopia. 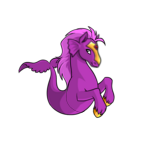 Eventually, at night, when all the Neopian Times writers had gone to bed or had run out of creativity for a long time, I arrived back in the room again. I suddenly felt better, happier, and for another wonderful moment, I could think clearly, I remembered my name! But then it was gone, and I vanished again into another comic. And as the days went by, upside down or filled with unreal worlds of jelly, at night was the only time I, or anyone for that matter, could think clearly and remember anything before my pawprint had found its way onto that contract. The other pets would sing to themselves, or tell stories, or maybe just talk to the others. It was nice. But it never lasted long. I wanted to go anywhere, anywhere but here. I wanted to tear up that contract, but I never could find it. I had the nagging feeling I wanted to investigate something, learn more about someone, do something, make a plan, but I never got to it in those moments where I wasn’t in a comic or a story as just another pet, a space filler. 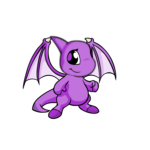 I might get into a story where the blue Kacheek will be freed from his contract, but I won’t give anything away right now. Or maybe you all could free him, by stopping the ‘let’s all use that blue Kacheek in our comics and stories’ trend. Thanks for reading!